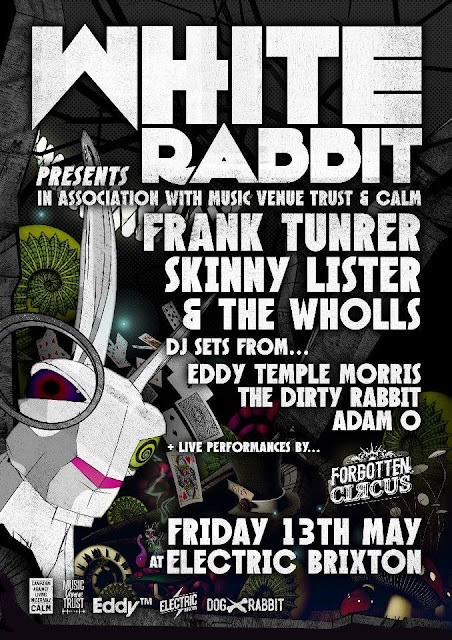 White Rabbit is pleased to announce a very special event at Brixton Electric on the 13th May 2016. For the first time ever in the UK - Frank Turner will play an exclusive intimate acoustic set of his critically acclaimed album England Keep My Bones in full. In association with the Music Venue Trust the night will be a dedication to the instrumental work they do in supporting the UK music scene. Having recently succeeded in changing legislation to protect small music venues from new development (see link) - this will be both a celebration of this achievement and an event to raise awareness of the challenges still facing the live circuit. The event will also raise awareness for notable charity CALM – who address the issue of male suicide and give support to those touched by depression. The Music Venue Trust was created in 2014 to protect the UK live music network – aiming to secure the long-term future of grassroots iconic venues and the recent change in legislation was testament to the hard work they have been doing and continue to do. MVT have been going from strength to strength with a five-year plan in place, and patrons as diverse as Frank Turner, Savages, members of Everything Everything, and industry experts such as Paul Buck (Coda Agency) and Barry Dickens (ITB). 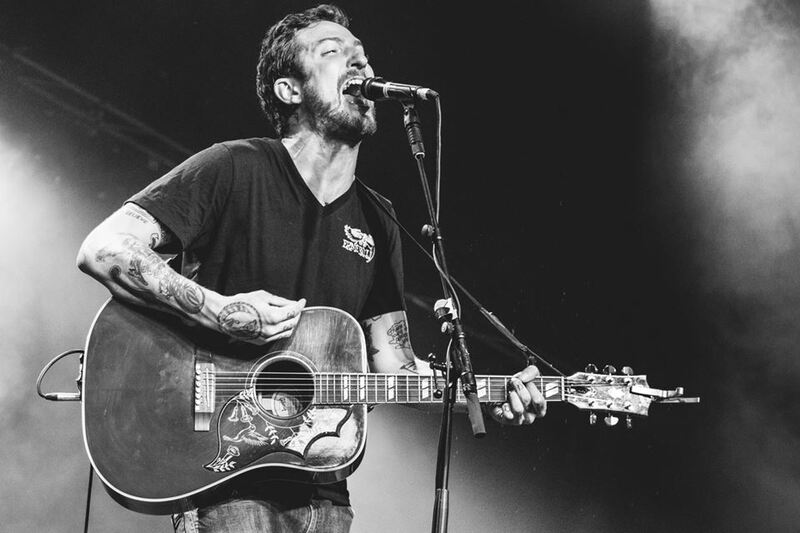 Headlining the night will be beloved songwriter and national treasure Frank Turner - who will be performing the fan favourite album England Keep My Bones. This will be the first time Frank has played an album show and fans will be treated to hearing one of his greatest records in full, for one night only. 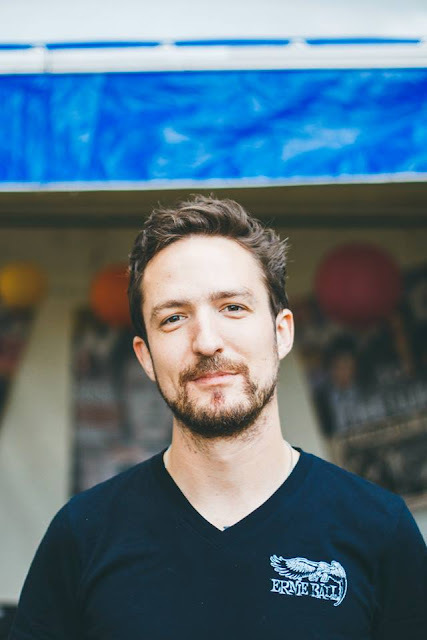 Frank Turner has worked extremely hard to raise the profile of the Music Venue Trust – having set up the initial Adopt The Agent of Change petition securing over 30.000 signatures back in September 2014. This played a major role in raising awareness of the problems facing UK music venues and attracting the attention of politicians. This will be the perfect opportunity for Frank to celebrate the success in change of legislation and continue to show his support to the Music Venue Trust. Main support comes from tour mates Skinny Lister – who bring their foot-stomping swinging folk punk to Electric Brixton having just come off a sold out tour of the States. Up-and-coming hot indie outfit The Wholls will open proceedings. To truly turn this event into a spectacle, infamous production company Forgotten Circus will transform the Electric Brixton into a circus extravaganza. The night will run from 10pm – 4am with DJ’s sets from industry renowned music aficionado and Secret Garden Party’s Eddy Temple Morris, The Dirty Rabbit, Adam O and a very special guest.